Since human societies first built towns and settled down, having a dependable source of clean water for drinking and hygiene has always been crucial. As our communities grow and thrive, having abundant water is more important than ever. At the Regional Water Authority, we employ teams of highly trained experts and practice some of the most effective techniques in the industry to ensure the best water quality for communities throughout south central Connecticut. Protecting Water Sources: Good water quality begins at the source, which is why our dedicated professionals are committed to protecting the watersheds and aquifers our communities depend on. The cleaner the water is when it's pumped into the system, the less treatment is required. Water Treatment: Aquifers are excellent natural filters, but reservoir water must be treated before it can be used. Water from both sources is sanitized with chlorine, keeping harmful microbes that can cause serious illness out of the supply. Distribution: The system that delivers water from the source to your home is extremely complex, consisting of treatment plants, pumping stations, water tanks, and countless miles of pipes. Good water quality depends on the regular maintenance of all of this equipment. Constant Monitoring: We’re always checking on the water quality throughout the system, testing for a variety of pollutants and contaminants. This ensures that you always have safe water to use. 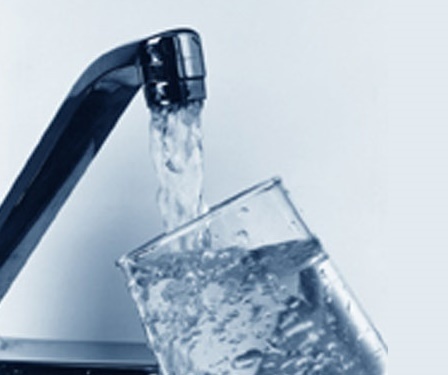 Since 1849, the Regional Water Authority has provided clean drinking water to hundreds of thousands of households. Visit our website to learn more about our mission and heritage of success, or give us a call at (203) 562-4020 if you have any questions.